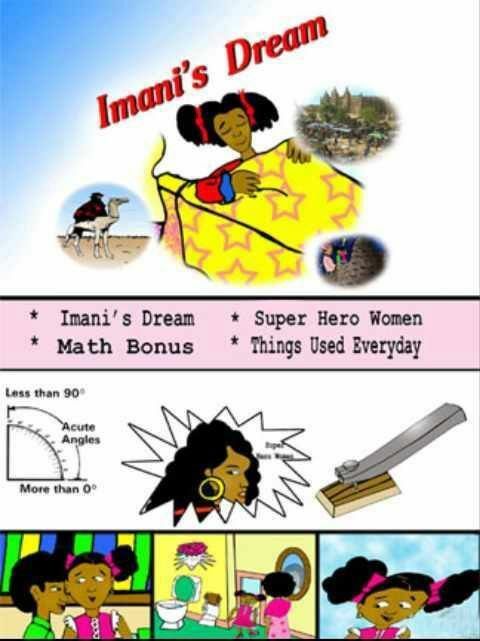 Imani's Dream is a story of a little girl that is in love with learning new things. Imani & her brother Yusef fall in love with reading. Imani's love of reading & parent’s bedtime storytelling of Africa's Greatness makes her take on wings that carry her to many beautiful places. Eventually, she discovers the Great City of Timbuktu in Mali, West Africa. One night she dreams of The Great City of Timbuktu where books were traded almost as much as gold. In her dream, she meets the legendary Professor Ahmed Baba of The University of Sankore in 16th century. Professor Ahmed Baba was an African scholar that wrote more forty books. She and professor Ahmed Baba form a bond in the Art of Learning, covering many fields such as Architecture, Trade, Geology, Astronomy and many other subjects. This is a story that will show how Reading can make you take on wings. "Imani's Dream" is a story of a little girl that is in love with learning new things. Imani & her brother Yusef fall in love with reading. Imani's love of reading & parent’s bedtime storytelling of Africa's Greatness makes her take on wings that carry her to many beautiful places. Eventually, she discovers the Great City of Timbuktu in Mali, West Africa. One night she dreams of The Great City of Timbuktu where books were traded almost as much as gold. In her dream, she meets the legendary Professor Ahmed Baba of The University of Sankore in 16th century. Professor Ahmed Baba was an African scholar that wrote more forty books. She and professor Ahmed Baba form a bond in the Art of Learning, covering many fields such as Architecture, Trade, Geology, Astronomy and many other subjects. This is a story that will show how Reading can make you take on wings.